I can't say enough about Paya. Their solutions are simple to use, easy to get up and running and reliable -- what more could an entrepreneur need! 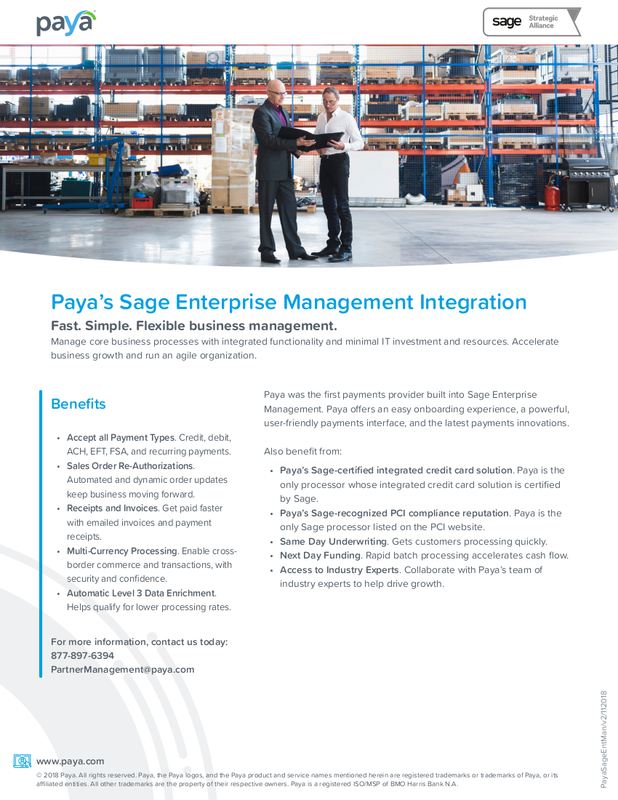 Paya, Inc. (formerly Sage Payment Solutions), provides simple, secure technology options enabling businesses to accept payments, get paid faster and increase efficiency. 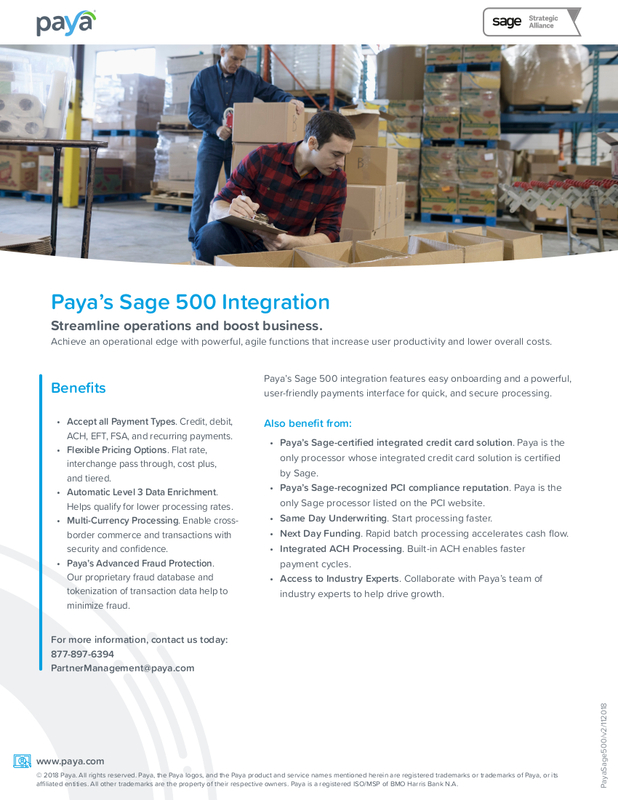 Paya’s seamless payments platform delivers easy-to-use technology to support every stage of a business’ growth, today and tomorrow. 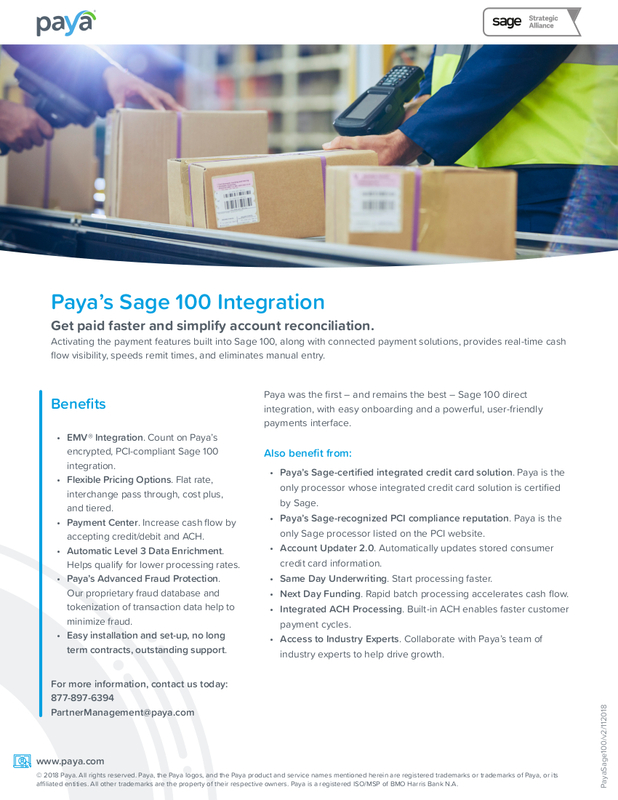 With more than 100,000 clients and two decades of payments processing, Paya offers adaptive solutions and technology expertise and is dedicated to driving the success of partners and customers. For more information on Paya, visit www.paya.com or follow us on Twitter: @PayaHQ, LinkedIn: Paya.com, and Facebook: PayaHQ. Paya is a partner you can trust. Our approach is to understand your market, your customers and your business, then deliver solutions and provide support to help you grow. Paya’s open environment simplifies connectivity to provide secure, reliable and flexible payment solutions for an increasingly mobile, connected and “always on” world – online, in store or on the go.